Comments inside a process instance have many uses. 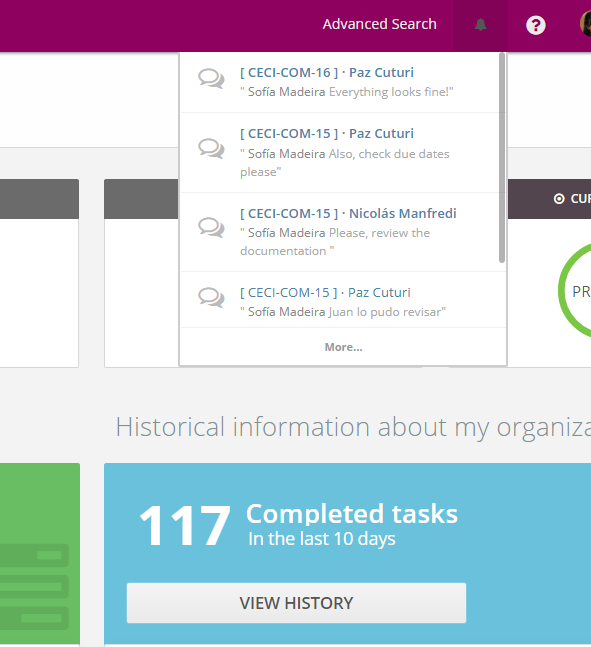 You can make a comment inside a task that can be seen by current assignees of all ongoing tasks in a process. In order to do this, you must go to the ‘Comments’ section, click on the checkbox shown in the image below and then publish your comment. You can also subscribe to the comments made by any other user in a certain process, even if they did not click the checkbox ‘Notify task participants of this comment’. In order to do this, you must select the process instance as starred and have at least read access on the process. You can mention any other use in a comment to inform he/she about something, even if you did not click the notification checkbox. Simply write ‘@’ followed by the username and then write and publish your comment. Whenever you notify users using ‘@’, an email will be sent to those users. However, keep in mind that the person that made the comment will not be notified via email, even if you write ‘@’ followed by your name. Who will be able to see my comments? Current assignees of all ongoing tasks (if the checkbox is checked). Users who starred this process instance (and have at least read access). Users mentioned in the comment. Finally, you can check all the messages of which you have read access or in which you have been mentioned by clicking on the bell icon in the upper bar. This will give you access to the Message Center. Click ‘More’ to see all your messages. The message center has a notification indicator which notifies you of new notifications. 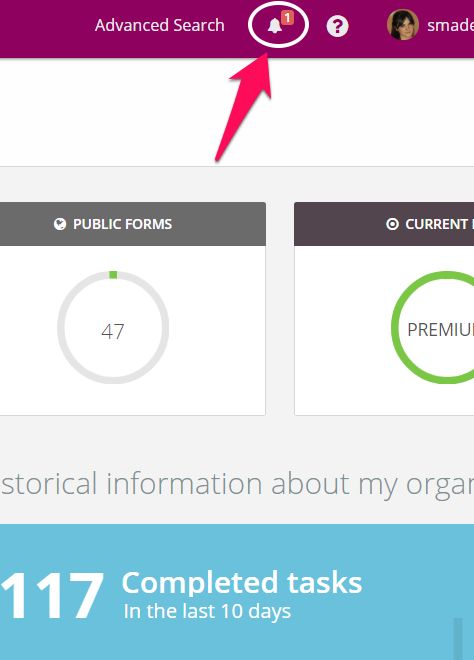 Each time you log in you will see a number that indicates how many new ones there are since the last time you checked them.